Make your marketing more effective by harnessing the power of social media. 63% of companies using social media say it has increased their marketing effectiveness. It's time to make your marketing super effective! 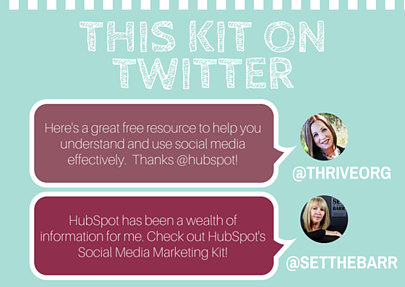 Grab HubSpot's free Social Media Marketing Kit to harness the power of Facebook, Twitter, and LinkedIn to get found by more potential customers, develop meaningful relationships with industry leaders, and position yourself as an expert in your field.